Subscription services are everywhere these days. You can find a subscription service for just about anything you want. 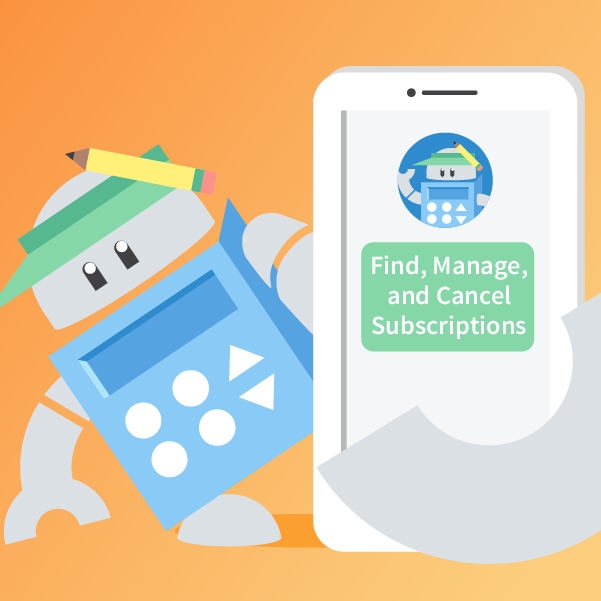 Some of them can be really convenient and helpful, but some of these subscriptions are pretty useless… especially if you forgot you were paying for them. The creators of ‘Ask Trim‘ ran into this problem in their own finances and decided to do something abut it. An article from AITEGroup.com concluded that roughly $14 billion annually is paid to these sneaky, neglected, or forgotten subscription charges called Grey Charges. Yes. It's that big of a problem. Chances are, grey charges have hit your pocket book in the past, or they are right now. Maybe you didn't even know you signed up for a subscription in the first place. If you're like me, you really hate the idea of wasting money. We review our bank statements and accounts regularly and are pretty on top of things. But we've missed things in the past. And, after we've found gray charges, it was always a hassle to get the charge refunded. It's this ‘hassle' that many companies are literally banking on as many people decide that is just isn't worth it to cancel the subscription. You lose. They win. Good news! Trim (asktrim.com) invented a tool that will cancel your unwanted subscriptions with just a text message. Trim Financial Manager is a completely free website-based service that has saved its users over $8 million since its launch. Trim's one stated goal is “to save you money”. They intentionally do not have an app for your phone because they wanted it to be as simple as possible. They text you what they find, and you respond if you want to. There are no hidden fees, ads, or subscription charges (that would be ironic). No catches. Trim will analyze your spending and let you know via text what your recurring payments are. What's kind of neat is that the software is smart enough to know the difference between your ritual morning Starbucks run and your Netflix subscription, even if your coffee order is identical each time. Immediately upon signing up, Trim will analyze the last 90 days of your spending and text you the findings. If you find a subscription you want to cancel, you just text back Cancel _______. For instance, if you have a Hulu subscription you want to cancel, reply in the text with “cancel Hulu”. Done. They will cancel it for you. For free. What about my Gym membership? Some memberships or subscriptions are really hard to get out of. Take that gym membership you have from before you moved. They still “need” you to go in person to the gym to cancel that membership. Geepers! What a hassle. Well, if you want Trim to cancel that for you. Just text them back and they will actually send that gym certified mail on your behalf to cancel your membership! Their program works with about 98% of financial institutions. So, if you have a very small local-only bank, they might not be able to work with your bank, but if you have a major credit card, you can link that up to your account. 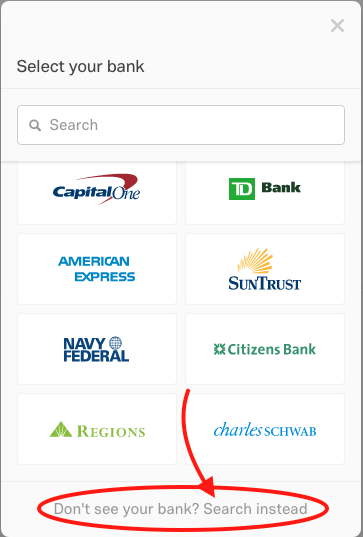 When you first sign up, it will show a screen with the largest banks listed, like Bank of America. If you have a smaller bank, scroll to the bottom of the screen. There is a search option you can use. If you still don't see your bank, they ask you to email them so they can do a little more digging. In order for Trim to work, you do have to give them your bank or credit card information. This understandably makes some people uneasy. If it's any help, I signed up for it because I wanted to really try it out before I shared it with you guys. I guess there is part of us that has to place at least a sliver of trust into any website we give our financial information to – whether it's Amazon, Walmart, or Trim. I can confidently say that I have not seen any fowl activity on my account since I signed up. From their end, since their entire company would go under if it wasn't secure, it's a primary concern of theirs. You can read more HERE on their security. They boast “bank-level security” and never store or share your bank data. From my personal experiment, YES it does! It's really cool. Since I keep such a close eye on my budget already, I wasn't surprised at what it found, but it worked. It did make one mistake though that made me a little proud. It pulled in ALDI as a ‘subscription' because I go there every week and spend right around $100 each time. Since the amount was so similar each time I went, Trim thought it could be a subscription. I gave a little fist-pump because I have been staying right on budget so well that they picked up on it! But, you can let them know that it isn;t a subscription and it will learn. 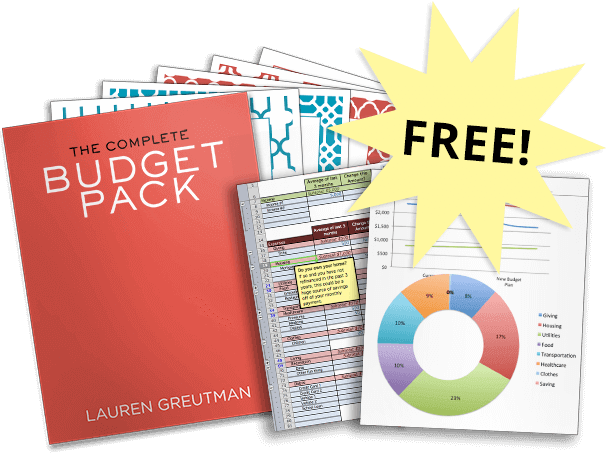 Learn How to Budget here. One thing I did not expect was getting a simple text message whenever a large or out-of-the-ordinary purchase was made. I knew I made the purchase, but I got a text when the charge cleared my account. This is great for added security on potentially fraudulent spending on your account. This was the most useful when I got their text confirmation that a check I wrote was cashed and actually pulled from my account. I really love this feature! Since Trim Financial Manager is watching your bank account, You can get instant balance updates via text and it will also “auto-fight” overdraft fees on your behalf with your bank! Can Trim do Anything Else? The text message service is definitely the main feature, but they are expanding their services into other areas that look very promising. Price Patrol for Amazon.com– Currently, this is still in testing mode, but you can try it out. First, hook up your Amazon account. Next, connect specific payment cards you use on your Amazon account. Once you do that, it will review your purchase history to check for price drops on things you've bought in the past. If there has been a price drop, you can click a button to file a claim for money back on the difference. Auto Insurance Finder – If you put in your home address and your car's year, make, and model, it will redirect you to coverhound.com to put in more of your current insurance information. It will look for better rates. I did not see any significant rate deductions offered. You might, though. I also was not expecting to be sent to a different website. It asks for your permission before heading over to Coverhound, but you get the impression on the front end that it is a Trim feature, not a 3rd party service. Comcast Saver – If you are a Comcast customer you can link your Comcast account with Trim. 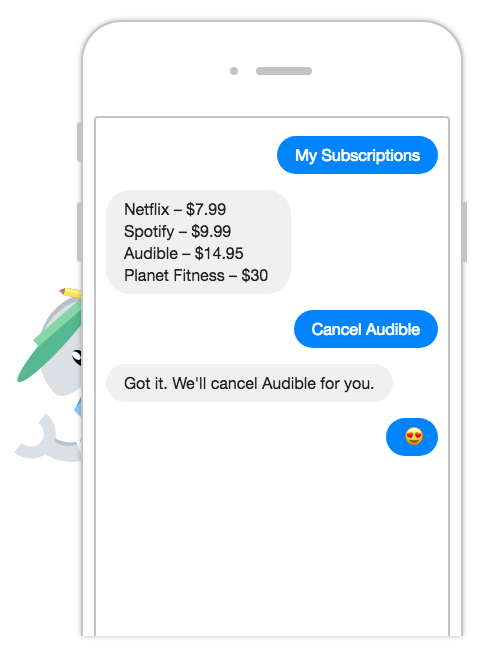 It will then analyze how much you're paying and use a “chatbot” to negotiate with Comcast directly to get you a lower rate if possible. They boast $120 in average savings! 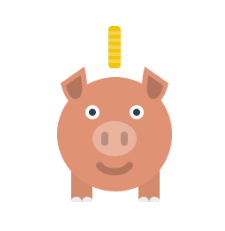 Trim tells you right up front that they will take 25% of your savings the first month only, and you will get all of your savings in the future. We do not have Comcast service in our area, so I was unable to try out this feature for you. While we should all be budgeting regularly and keeping a close eye on our spending accounts, it does help to have someone or something else in your corner. Overall, I was very impressed with their service. The extra services they have are still in the testing phase, so they might not work perfectly for you. My Price Patrol tool was having problems, so I contacted their customer service and got a reply within a day. Not bad. Those extra services are really just that – extras. The main power of Trim is in the ease and simplicity in canceling subscriptions with the Trim Financial Manager. It did this excellently. Click here If you want to give Trim a Try and ask Trim for yourself. Trim is unable to determine if a reduction in your bill is due to their actions or your own. I changed my phone plan which resulted in a lower rate, but TRIM changed me a service fee on the annualized difference even though it was my own actions not theirs that reduced my bill! and no ph. # to be found anywhere why they hide? They just claimed to save me $120 on my AT&T internet by “negotiating” an upper tier package that costs $22 more and getting a discount of $10 month. Essentially I have a package i never wanted and my bill is now higher. Gee Thanks ASKtrim..